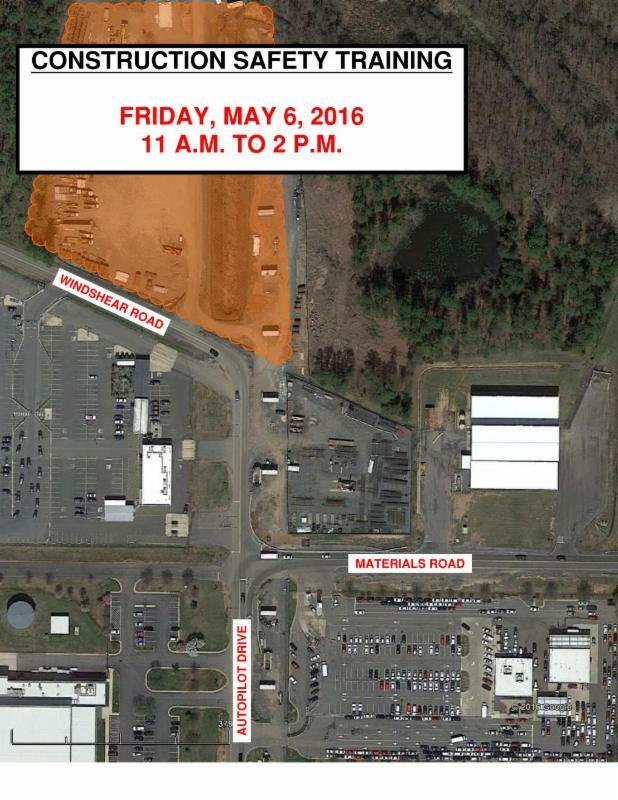 On or about Friday, May 6, 2016, from 11 a.m. to 2 p.m., public safety crews from the Metropolitan Washington Airports Authority and Loudoun and Fairfax counties will join Dulles Corridor Metrorail Project construction teams for safety training at Washington Dulles International Airport. This event is part of multi-jurisdictional safety training for Phase 2 of the Metrorail Silver Line and will be held in conjunction with other events during Construction Safety Week (www.constructionsafetyweek.com). The training will take place north of the intersection of Autopilot Drive and Materials Road, along the north side of Windshear Road. Activities will take place off of airport roads and will not require any changes in traffic patterns. All work is weather dependent and subject to change. Drivers are asked to use caution and remain attentive as large, slow-moving vehicles may be exiting and entering the roads near the training site.